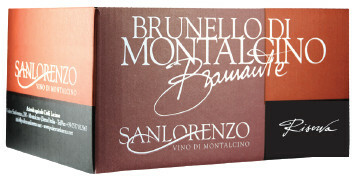 The Riserva di Brunello di Montalcino Bramante is made only with exceptional vintages. This wine is bottled during the 4th year after harvest and left for refinement in the bottle until the February of the 6th year before being released on the market. 2006 was characterised by alternating rain and sun during the months of April to June, ideal for the development of the vegetation of the vines. The next season brought a very hot and sunny July, while August was less hot than usual with some rain. The first half of September, very hot and sunny, assured the definitive evolution of the grapes to a complete and balanced ripeness. The second half of September began with some rain but the weather quickly became nice again and permitted complete ripeness by the end of the month. For the Sanlorenzo vineyards it was an exceptional year. The harvest took place on the days of 4-5 October.